Mrs. Wesseling, is a Board Member for the Green Beret Foundation. Prior to retirement in 2015, Mrs. Wesseling was executive director of Foundation For the Challenged, a charitable foundation for people with developmental disability in Columbus, Ohio. Mrs. Wesseling turned her life-long passion for helping others into advocacy for the Green Beret Foundation after it supported medical and rehabilitation efforts for her son, Major Darren Baldwin for injuries he sustained in combat during Operation Iraqi Freedom. Mrs. Wesseling is currently board president of Project Rise Above, a nonprofit that supports the Warren County Veterans Court in Lebanon, Ohio. Mrs. Wesseling holds a degree in business administration from Ohio Dominican College and a degree in registered nursing. She and her husband, Jim, a retired hospital-system executive, live in Maineville, Ohio, a suburb of Cincinnati. Mrs. Wesseling enjoys golf and is president of the 18 Hole Ladies League at O’Bannon Creek Golf Club. Mr. Wesseling, is an Ambassador for the Green Beret Foundation. Prior to retirement in 2015, Mr. Wesseling was a Medical Malpractice Claims Manager for Catholic Health Care Partners in Cincinnati, Ohio. 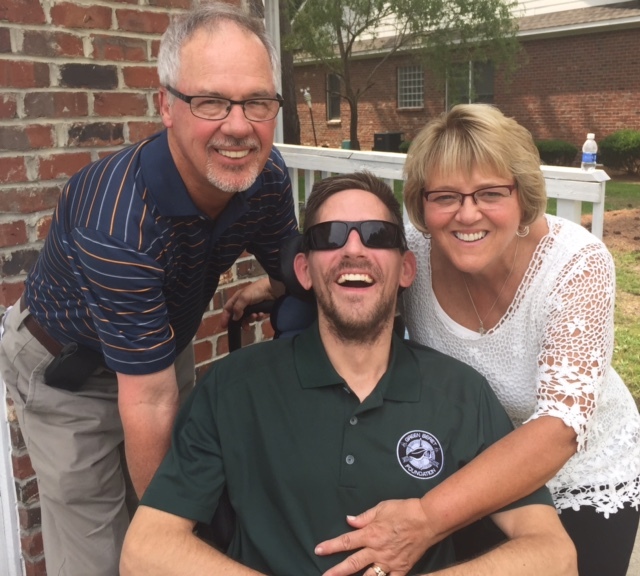 Mr. Wesseling decided to become a Green Beret Foundation Ambassador after the Foundation supported medical and rehabilitation efforts for his stepson, Major Darren Baldwin for injuries he sustained in combat during Operation Iraqi Freedom. Mr. Wesseling is currently board secretary for Project Rise Above, a nonprofit that supports the Warren County Veterans Court in Lebanon, Ohio. Mr. Wesseling holds a degree in Mathematics from Thomas More College, Ft Mitchell Kentucky. Mr. Wesseling and his wife, Fran, a retired nonprofit administrator live in Maineville, Ohio, a suburb of Cincinnati. Mr. Wesseling is an avid golfer and member of O’Bannon Creek Golf Club.